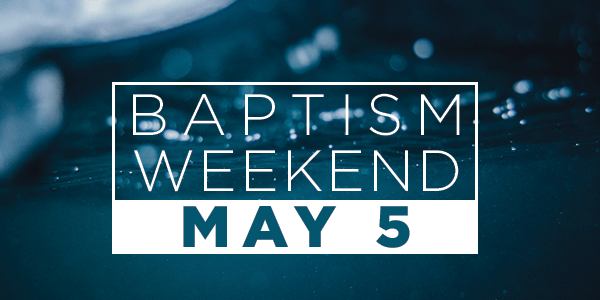 During all 3 Sunday services on May 5th, we will be having baptisms! If you have chosen to follow Jesus and would like to get baptized, please let us know! Your first step would be to register to attend one of our baptism classes on Sunday, April 14th. We have a class for children and a class for adults. Then, be sure to invite your family and friends to come and witness your baptism and celebrate this exciting event in your life! Adult Baptism Class: Sunday, April 14th at 11:30 am in the Quiet Room of the main lobby. Register Here.